I know you love 4th of July and of course the pretty American flag. So to help you plan the perfect party to celebrate this holiday I've put together some ideas that all your guests will love and talk about. Sparks are guaranteed to fly when you throw a fête bursting with stars, stripes, and explosive color. 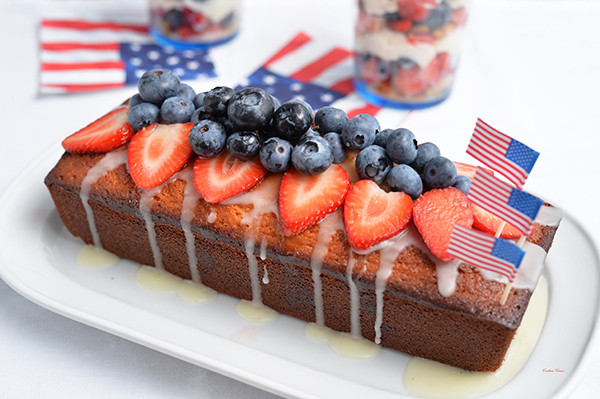 From BBQ to desserts, I've got all your party preparations covered. Read on below, then sit back, relax, and enjoy the fireworks. 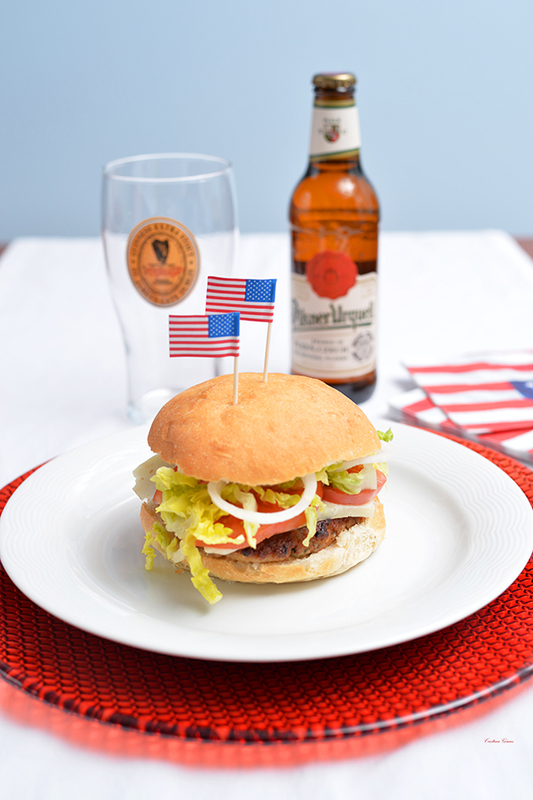 Burgers may seem too obvious, but can you imagine a 4th of July without them? Whether veggie or meat, they are the star of the party. For me the perfect burger is the one you make at home. You can choose the ingredients and you know for sure they are fresh and healthy. A bun of freshly baked bread from your favorite bakery. There are few things as delicious as warm, crunchy bread. Make the burger from scratch. I usually buy fresh minced meat and shape it like a burger. I use a mixture of breadcrumbs and parsil to batter it. The quantity of meat you use is up to you, for me 120gr (4.2 oz) is enough. I fry it in a pan with virgin extra olive oil till it's well-done (I like my meat that way). A slice of Manchego cheese. In my opinion, the best cheese in the world. Once you put it on top of the hot meat it will melt...yum!! Veggies. I only use tomato and lettuce -sometimes onion too- but you can always get creative and add whatever you want. Mayonnaise. Not the most healthy choice but I like to add a teaspoon of mayo to my burger. As a healthier option you can add ketchup. For me the dessert is even more important that the main course. 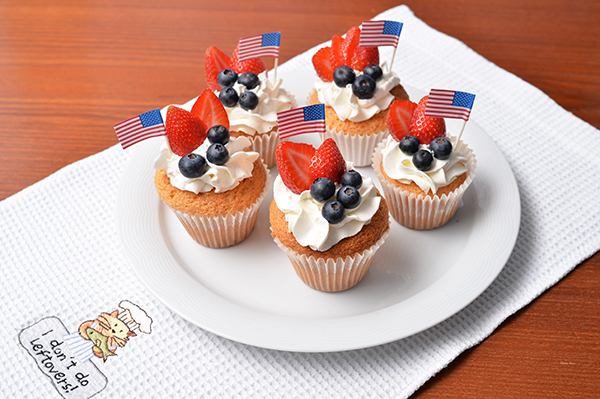 So here are three options for your patriotic treats: a delicious marzipan cake, yummy parfaits and cute cupcakes with berries. Preheat an oven to 350°F (180ºC). Using an electric mixer blend together the sugar and marzipan until the mixture is in fine pieces. Add the butter and almond extract and mix until light and fluffy, 1 to 2 minutes. Add the eggs one at a time, beating well until thoroughly combined. Sift together the flour, baking powder and salt over the egg mixture and beat in just until thoroughly blended. Pour the batter into the prepared pan. Bake until a toothpick inserted into the center comes out clean, about 1 hour. For the icing, mix 100gr of icing sugar and a teaspoon of water in a bowl. When the mixture is ready, pour it on top of the cake. Put it in the fridge to solidify. Decorate as you wish. These fruit parfaits are really easy to make. You just have to alternate layers of whipped cream (or yogurt) and layers of fruit and biscuit crumbs. Read the cupcakes' recipe here. It's not necessary to decorate with stars and stripes. Just throw in some red, white and blue accessories to set the mood for the party. Last but not least, the hostess needs to be appropriately dressed. This is probably the easiest part since we all have some red, white and blue (especially blue in my case) pieces in our closet. However, since we will probably "have nothing to wear" here are some of my favorite dresses for the occasion. 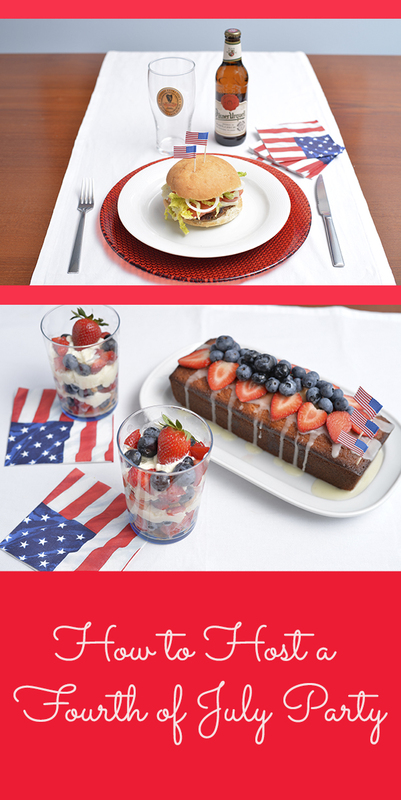 How are you going to celebrate the 4th of July? all the food looks amazing !!!! Such a nice post, would love to do this. These are some cute ideas! I'm invited to a party this year but if next year I'm hosting one I'll be sure to borrow these ideas! Those cupcakes are so cute! 4th of July looks so much fun! This is so cute, I'm getting hungry just by looking at it! These are so cute! 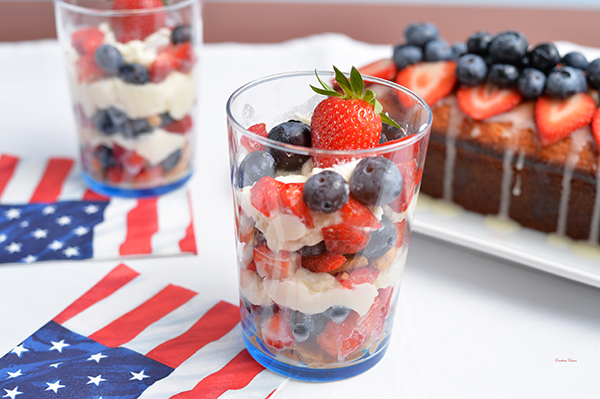 I've always love 4th of July desserts. They're so creative!